A senior Sheffield Wednesday club official "unwittingly disseminated a lie" to BBC football commentator Alan Green that hundreds of Liverpool fans forced open a gate at the fateful 1989 FA Cup semi-final, a jury has heard. 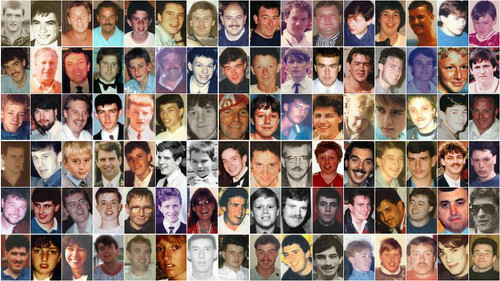 The Radio 5 Live broadcaster, who was covering the match at Hillsborough for BBC Radio 2 at the time, went on air at about 4.30pm to give an update on the disaster, the inquests into the deaths of 96 Liverpool supporters was told. He told listeners: "I spoke to the Sheffield Wednesday secretary Graham Mackrell just a few seconds ago. He has spoken directly to the policeman in charge here and he has been told that at 10 minutes to three there was a surge of Liverpool fans at the Leppings Lane end of the ground. "That area holds about 10,000 people standing, 4,500 in seats. The surge comprised of about 500 fans and the police say that a gate was forced and led to a crush in the terracing area. Well under capacity I am told at the time. There was still plenty of room inside that area." Giving evidence today, Mr Mackrell said he did not recall speaking to Mr Green on April 15, 1989 but did not question that he did. He added he did not remember match commander Chief Superintendent David Duckenfield telling him a gate had been forced and could not recall where he had got that information. The jury sitting in Warrington has heard that Mr Duckenfield gave the order for exit gate C to be opened at 2.52pm and that a "significant number" of an estimated 2,000 fans entered through a tunnel at the Leppings Lane terrace towards the central pens where the fatal crushing took place. 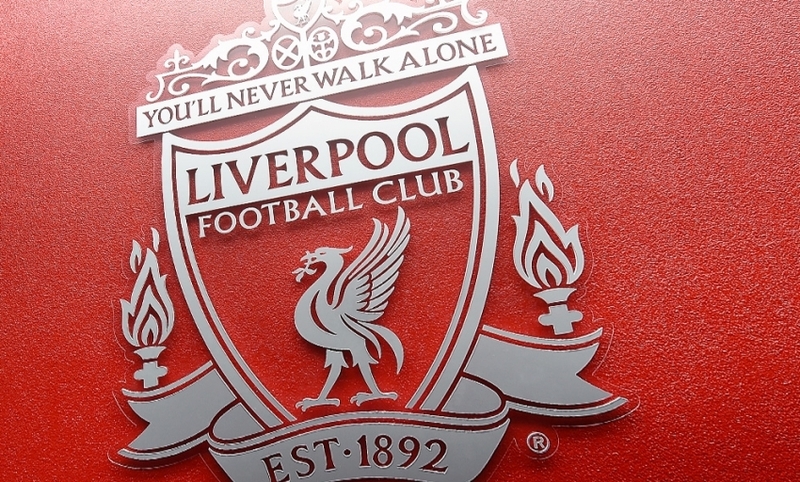 Rajiv Menon QC, representing some of the bereaved families, said the jury would hear evidence that Mr Duckenfield told then Football Association secretary Graham Kelly and his colleague, Glenn Kirton, that Liverpool fans had forced open the exit gate. Mr Menon asked Mr Mackrell: "You really can't help us as who told you that?" The witness said: "I can't sir." Mr Menon said: "It may have been Mr Duckenfield?" Mr Mackrell replied: "I am certain it was not Mr Duckenfield. "Obviously I have not spoken to Alan Green without having had that information from somebody who I would rely on." Mr Menon said: "You appreciate, don't you Mr Mackrell, that it is the beginning of the creation of a false narrative about the disaster. A false narrative that blames the Liverpool fans, you understand that?" "Of course," said Mr Mackrell. Mr Menon said: "You unwittingly disseminated that lie." Mr Mackrell said: "I was told that information, yes." Mr Menon said: "It was not just Alan Green, you were liaising with other journalists?" The inquests heard that Peter Wright, the then Chief Constable of South Yorkshire Police, gave a press conference later that evening and admitted the gate had been opened on the orders of the police. Mr Menon asked: "Were you shocked when you discovered that in fact what you had been telling journalists was not the truth?" Mr Mackrell said: "Of course." Mr Menon said: "What did you do about it?" Mr Mackrell replied: "I didn't do anything about it... it was a situation where it was not the appropriate time." The witness told Coroner Lord Justice Goldring he had looked at exit gate C on the afternoon of the disaster and did not see any indication it had been forced. The coroner asked him: "So when you spoke to journalists you knew there was no indication as far as you were aware that it had been forced?" Mr Mackrell said: "To be fair sir it was only a casual look as you go through. It was not a forensic examination." John Beggs QC, representing Mr Duckenfield, asked the witness: "If the jury accept that a false narrative was set in train, whether by Mr Duckenfield or anybody else, in relation to gate C, the chief constable put that right on the evening of the disaster and so the most senior officer in the force nailed that false narrative if indeed it emerged on the day of the disaster?" Pete Weatherby QC, representing more bereaved families, asked Mr Mackrell - as club secretary and safety officer - what he was doing between 2pm and 3pm on match day. He said: "Walking around. I was wandering the ground, talking to people... but I was not sat in an office. I was not having lunch." The barrister put it to him that from about 2pm it was "pretty plain" the usual number of fans were not coming through the turnstiles and that it "kept getting worse" as time went on. Mr Mackrell replied: "Well information was constantly going in between that time between the (club) control room to the police control room. I never had any feedback from the police that there was an issue and they had a request in relation to considering maybe delaying the kick off." Mr Mackrell said he was told by the club's security officer, Douglas Lock, at 2.52pm that one of the gates had been opened to let around 300 spectators in. He agreed with Mr Weatherby that would have presented "an acute problem" and he would have gone straight to the police control box to find out more. The jury was then shown TV footage of Mr Mackrell going in and out of the players' tunnel up to 2.57pm. Mr Mackrell explained: "It may be that Mr Lock told me after. I cannot recall." Mr Weatherby responded: "Are you making this up as you go along?" "No sir," said Mr Mackrell. "When Mr Lock told me, and I made the error in the time which I accept it may be wrong, I went straight there sir. He agreed that figures showing 800 people still needed to get into seven turnstiles at Leppings Lane from 2.30pm was a "no can do". Mr Weatherby said: "The number of turnstiles were woefully inadequate." The witness replied: "I don't believe they were sir. I think the supporters did not arrive in the same manner as they did the previous years." He accepted that by 2.15pm there was serious congestion outside the Leppings Lane turnstiles and it would have been obvious to those sitting in the police control room and the club control room. Mr Weatherby put it to him: "At that time if you had a contingency plan it might have done something to avert what was later to happen, the disaster?" Mr Mackrell said: "I am not sure what the club could have done in isolation." He said, in hindsight, he agreed he could have asked Mr Duckenfield to delay the kick off. The barrister continued: "The fact that you did not have a contingency plan was a flagrant disregard for the terms of the Green Guide (stadium safety guide)." Mr Mackrell replied: "No sir, I have already answered that point sir. I hear your argument but I do not accept it and I believe that what we had in place with the police should have dealt with that issue." Mr Weatherby said: "A sensible contingency plan might well have averted the disaster?" Mr Mackrell replied: "I believe sir we had the contingency plan with the police." Yesterday, Mr Mackrell admitted the club did not have formal contingency plans to deal with large numbers of spectators arriving at the ground but said the police had its own arrangements which the club was aware of. Under stadium safety requirements the club management was required to draw up such a plan in consultation with emergency services, the inquests have heard. Mr Mackrell denied suggestions from Mr Weatherby that he was "offloading responsibility on to all sorts of people involved in this affair" in taking a "Teflon nothing sticks approach". The barrister said the jury would hear evidence later that there was crushing in the central pens at the 1987 FA Cup quarter final between Sheffield Wednesday and Coventry, and had already heard evidence of congestion outside the ground at the 1988 FA Cup semi-final and the central tunnel at Leppings Lane being closed off due to overcrowding. Mr Mackrell said he had not been aware of any of those incidents. Mr Weatherby asked him: "Is it right that in 1987, and particularly in 1988, it was a near miss, you got away with it?" He said: "I don't accept that at all sir." The barrister continued: "If you disregard safety requirements you can get away with it once, you might get away with it twice, but eventually something is going to be a problem, is it not Mr Mackrell?" The witness said: "We were confident that it was dealt with, sir." Mr Weatherby said: "Your disregard for not only the contingency plans you were required to have under the relevant guidance but also the proper calculation of how many people you could get into the ground, that led to this disaster didn't it?" "No, I do not accept that sir," said Mr Mackrell. Mr Weatherby asked: "Did you consider after this disaster, where 96 people had died on your watch, resigning?" Mr Mackrell replied: "I did not sir." The inquest heard he stayed at Sheffield Wednesday for 10 years and then moved to West Ham United. He denied he later resigned from the London club after it failed to register a player called Emmanuel Omoyinmi. Mr Mackrell told the jury he left for a number of reasons. Fiona Barton QC, representing South Yorkshire Police, asked Mr Mackrell: "Can we agree on this, that whomever else might have had responsibility for spectator safety at Hillsborough on April 15 1989, the primary responsibility for the safety of those spectators rested with the club?" Miss Barton said: "The discharging of the club's responsibilities with regard to safety was through you?" The barrister said: "That is because you were the safety officer." Miss Barton continued: "If you had remained in the club control room from 2.30pm to 2.50pm the following points would have been obvious to you. "There were too many spectators still outside the stadium to get in by kick off?" Miss Barton went on: "There was an obvious build-up of spectators and it was getting worse as we were going towards 2.45pm?" The barrister said: "And that before gate C was opened there was more than one request for it to be opened?" Mr Mackrell said: "I was not aware of that." Miss Barton said: "The reality is if you had been in possession of those pieces of information by virtue of being in the club's control room on that day you would have a duty to act." The witness replied: "If I had been aware of that situation I would have acted but also I would make the point that nobody contacted me that there was an issue to be addressed. "There had been an opportunity to contact me if I had a club radio which I was present with at all times." Miss Barton concluded: "It comes to this, as the Sheffield Wednesday ship sailed towards the iceberg you were walking the decks rather than at the helm." Mr Mackrell replied: "I think that is unfair. I think that is an unfair comment." The witness agreed with Jason Beer QC, representing Sheffield Wednesday, that he had a club radio with him on the day and that a police officer was stationed in the club control room in the stadium's South Stand. Mr Beer asked: "Did they (the police) ask you at any time to participate in a decision over the management of the crowd outside of Leppings Lane?" Mr Beer said: "Did they inform you that a decision was to be taken or had been taken that gate C was to be opened?" Mr Mackrell replied: "No sir, we were not informed." Mr Beer continued: "So never mind about whether you were in the club control room, you were easily contactable and that contact did not occur?" He told counsel to the inquest, Christina Lambert QC, that he and former match commander Brian Mole, who was replaced by Mr Duckenfield in the weeks leading up to the game, had an agreement that serials of police officers would be deployed in the area outside the turnstiles. Miss Lambert asked: "Did you have any discussions with Mr Mole or indeed anyone within the police or indeed made any plans yourself for a situation whereby, for whatever reason, the turnstiles could not cope with the number of fans gathered outside?" Mr Mackrell said: "I don't recall the conversation." Miss Lambert said: "Did you yourself make any plans for dealing with that unexpected situation?" Mr Mackrell replied: "No because the two previous two years (when semi-finals were staged) had been successful in relation to getting supporters into the stadium." The inquests continue on Monday.